This database contains a detailed catalogue of the Bentham Papers, held in University College London Library. The collection consists of around 60,000 folios, arranged into 174 boxes. 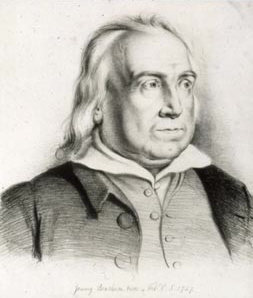 Jeremy Bentham (1748–1832), the utilitarian philosopher, jurist, economist, political theorist. and social reformer, is a figure of outstanding importance in our intellectual heritage. A new definitive edition of The Collected Works of Jeremy Bentham is being prepared by the Bentham Project. To get started, click the 'Search' tab above. For contextual help information, click on the question-mark symbol in the top right at any time. For a description of the information captured in the database, click on the relevant headings, e.g. ‘penner’, ‘dates’ etc. on the simple search screen or the detailed record display. For more information on the Bentham Papers visit the Access to Archives web-site http://www.a2a.org.uk/ and enter ‘Jeremy Bentham’ into the Search box, and from the results choose the link to ‘London University, University College London (UCL) Manuscripts Room: The Bentham Papers’. The database was compiled by Dr Deborah McVea, supported by a grant from the Arts and Humanities Research Council’s Resource Enhancement Scheme.